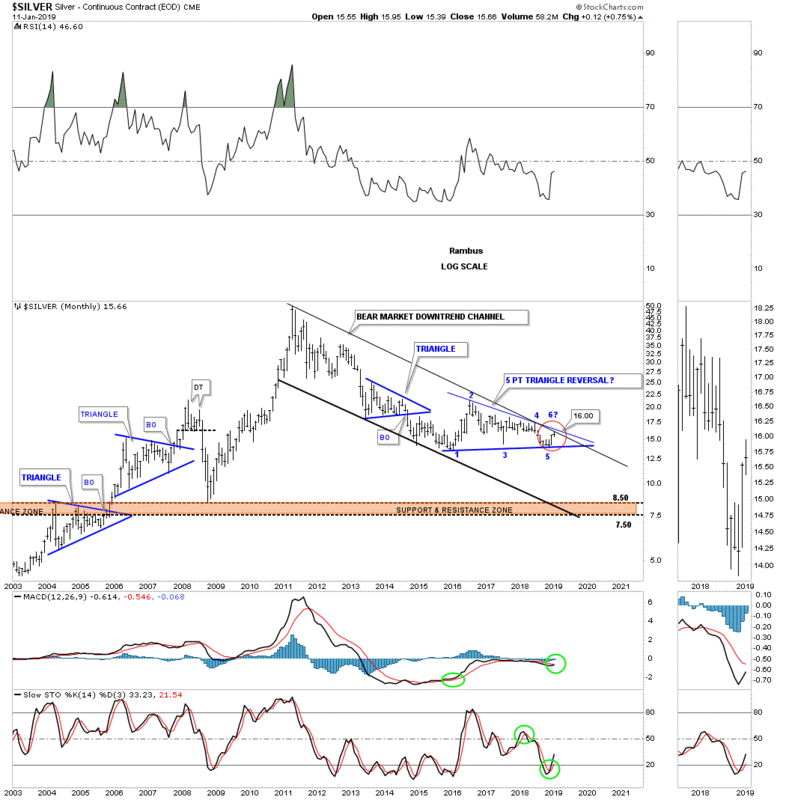 I would like to show you a couple of long term charts for Silver that puts where silver is currently trading into perspective. We can look at the hourly charts or even the daily charts for the short term patterns, but if you really want know where a stock is relative to its history we need to look at the long term view. The more history a stock has the more relative the current price action is.